You have to be a little crazy to work at Schoolhouse. The hours are long, the sun is hot, and the salary isn’t going to build a big bank roll. But the privilege of introducing kids to nature, helping them discover how capable they are, and watching them grow in confidence every day is absolutely worth it. And the hugs don’t hurt either. Here’s our team who is dedicated to nurturing curiosity, celebrating courage, and most of all, caring for the whole of every child. 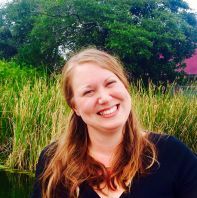 Jill joined Schoolhouse of Wonder on February 1, 2019 as its first development director. 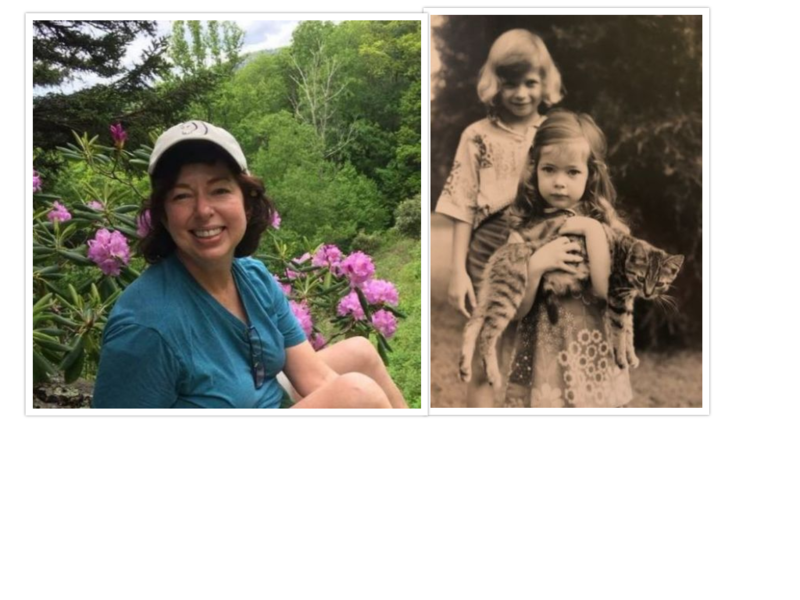 A fundraising veteran with 16 years of experience in the nonprofit and higher education sectors, Jill is the parent of two former Schoolhouse campers, is a former Schoolhouse board member, and a proud Schoolhouse donor. A native Durhamite, Jill is a graduate of Guilford College in Greensboro. Her two cats, Leo and Smokey, are the boss of her. 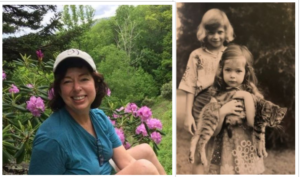 Marty grew up in Casper, Wyoming, and spent her childhood rambling around, snowshoeing, and climbing trees on her family’s land on Casper Mountain. 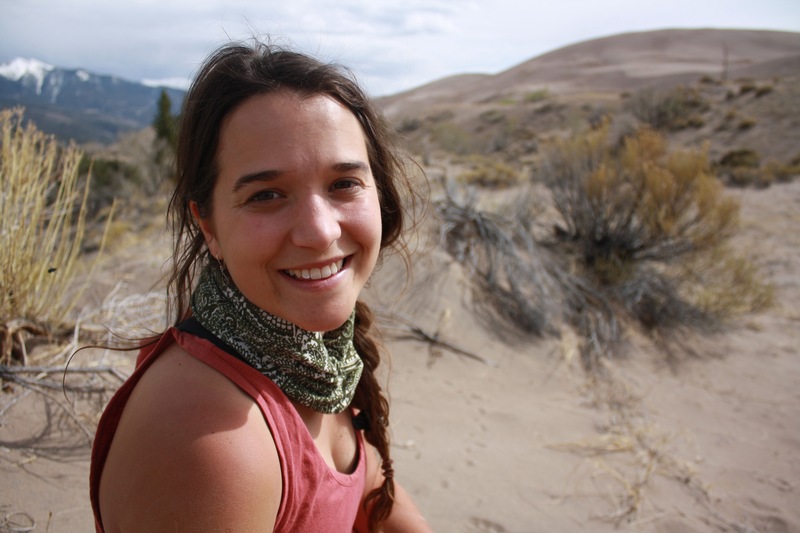 Inspired by her time outdoors, she decided to follow her passion for being outside and graduated from Green Mountain College with a degree in Adventure Recreation. Marty has worked for a number of summer camps and outdoor organizations and is excited to bring that experience to Schoolhouse of Wonder. In her free time, she likes to grow food, play ukulele, make inventions, and generally goof around. New to North Carolina, she’s already enjoyed her first Cheerwine and is excited to see all that the area has to offer! 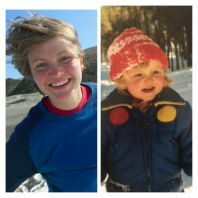 Meagan grew up in the Laurel Highlands of Pennsylvania and spent most of her time climbing trees, picking berries, looking for spiders, going on explorations in her forested backyard, and building epic snow forts. Her passion for the outdoors continued to grow after spending several summers as a camper at an environmentally focused resident camp on the shores of Lake Erie. 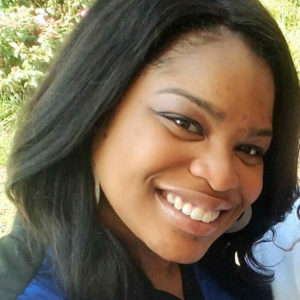 She studied Chemistry at Centre College in Danville, Kentucky and was involved in several campus organizations with a community service focus including Alpha Delta Pi sorority and the Centre Science Club. 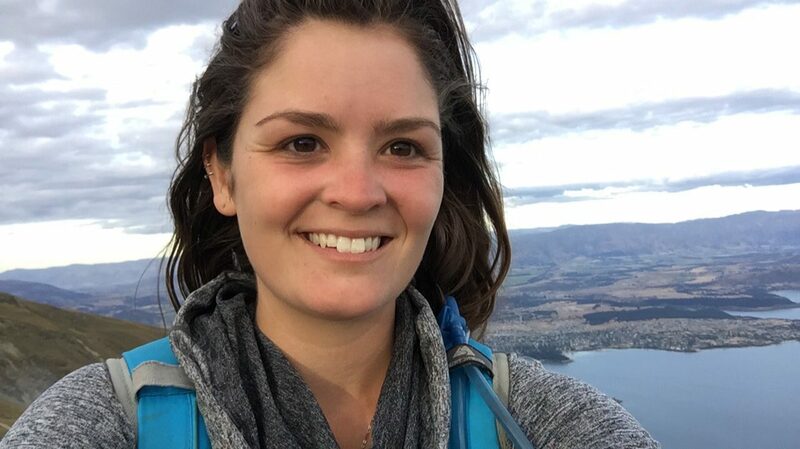 When she isn’t studying for her M.B.A. program, Meagan enjoys gardening, cooking, reading on her porch swing, hiking the local trails, visiting any and all bodies of water, going to museums, and discovering the beauty in everything. She also has a soft spot for her two cats, EV and Ollie, and her “better half” Jon. 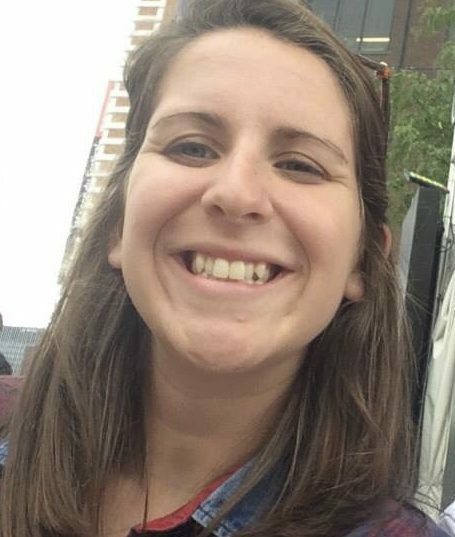 Meagan loved being a Lead Counselor in Wake and is excited for a new adventure as the Administrative Coordinator. Hannah is from the Midwest and has lived all over the United States. 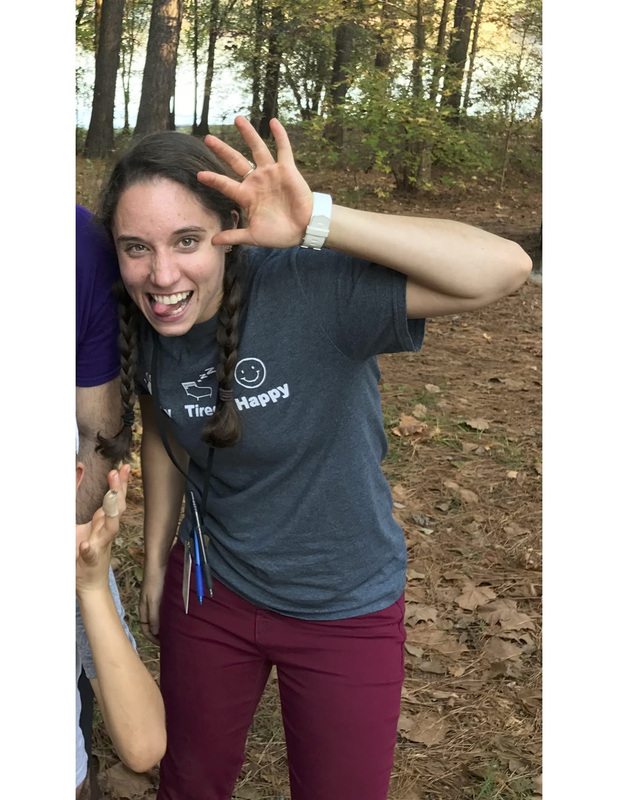 She started working at Schoolhouse in the summer of 2016 as a Durham camp counselor, and now works in the office cheerfully answering phones, emails, and problem-solving for our camp families. When not puttering around the Schoolhouse office, you can find Hannah climbing trees, planning adventures with her wife, or napping with her dog. Hannah is passionate about mermaids, social justice, watching women’s soccer (Go Courage! ), and beekeeping. A North Carolina native, Kyle grew up in Stedman, NC (just east of Fayetteville.) Kyle has always enjoyed the outdoors, regularly being found outside as a child, and still enjoys hiking and being on the water today. Coming from a family of teachers, Kyle is instilled with a passion for education, especially regarding Nature, Music, and History. He received a degree in Music Education from Campbell University. Preferring non-traditional classroom and outdoor educational settings, Kyle has worked as a camp counselor and educator with Camp Agape’ in Fuquay-Varina, Durham Public Libraries, and with the City of Raleigh Parks & Recreation at Lake Johnson Park and City of Raleigh Museum. Kyle is also an organizer, musician, dancer, and educator with several local folk music & dance groups. Pam is originally from Virginia but made her way to NC when she attended ECU (go Pirates) for Psychology and Art. 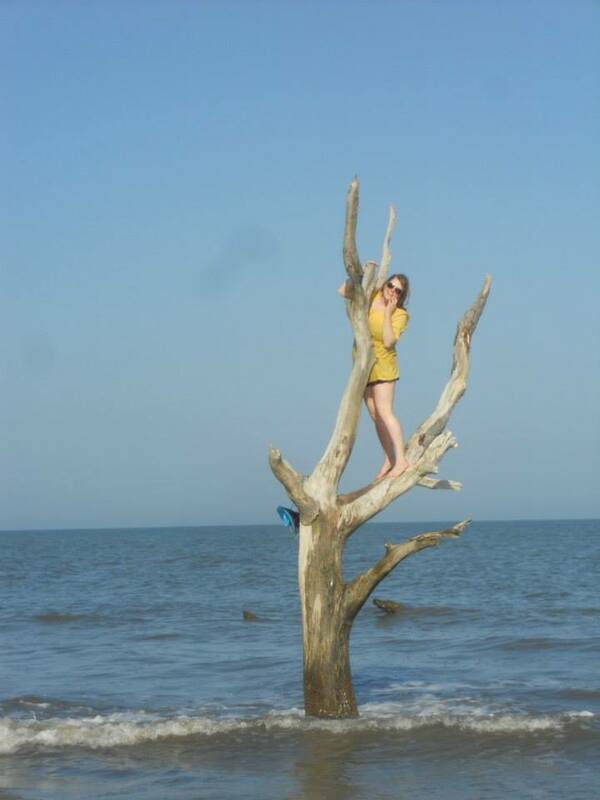 She also worked for the ECU Adventure Program, leading rock climbing, sea kayaking, and caving trips. That lead to another guiding opportunity leading trips all over the country. Exploring places like Yellowstone, Tetons, Yosemite, San Juan Islands, the Kenai Peninsula, and the Black Hills Pam honed her skills for teaching the different culture, history, and flora and fauna of all of these unique and breathtaking places. Pam is excited to bring her skills back to her community, here in Durham. When Pam isn’t shaping young minds, she can be found riding her bike long distances with too much stuff strapped to it, practicing yoga, kayaking where she hasn’t been yet, or planning the next adventure. Pam also enjoys playing in the dirt, “gardening”, construction projects at home, and playing trivia with her friends. Pam believes in connecting with Nature can foster a better sense of self-efficacy in children and adults and spur an appreciation for our planet, the only planet we have. Abby is originally from the Wisconsin, where she grew up playing, swimming, and camping in the lakes, forests, and rivers of the beautiful Northwoods. She attended college in Portland, OR where she studied Biology and Hispanic Studies. 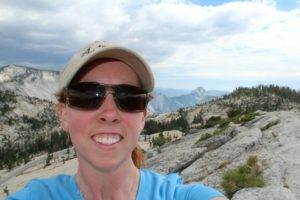 During that time, she fell in love with the Pacific Northwest and moved for a few years to Seattle, WA where she both worked at an elementary school and led youth backpacking trips in the Olympic Mountains and Cascade Mountains during the summers. All of these experiences have led her to love outdoor education, and finding ways to get youth outside. When she isn’t working with youth, you can find her reading a good book, cooking, hiking, playing with dogs, and road-tripping to new places. She is excited to explore North Carolina and learn about her new community in her favorite way- through the outdoors! Frank is a native Central Floridian who grew up backpacking through the Ocala National Forest and through the Smoky Mountains of North Carolina. He graduated with a bachelors degree in Sociology in 2013, and in 2015, he went on a 2000-mile thru-hike of the Appalachian Trail. 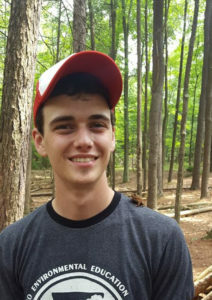 He currently lives in Cary, North Carolina, pursuing his love of environmental education with Schoolhouse of Wonder and hopes to enrich the lives of young outdoor enthusiasts. Frank has been a part of numerous outdoor youth camping experiences through his church and is excited to be leading the next generation of campers today. In his spare time, he loves to do yoga, read good books, hike, and play instruments. Pat is originally from a suburb of St. Louis, Missouri, but has been moving around the country since graduating college. 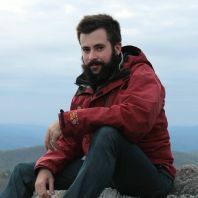 Pat has worked for outdoor recreation organizations including Raleigh Parks and Recreation, wilderness therapy programs in Utah and Georgia, several environmental/adventure education jobs, a climbing/whitewater rafting guide in the New River Gorge, and as a Traveling Trainer for Leave No Trace, touring the country with his wife teaching outdoor ethics while living out of a Subaru. Pat received his Bachelor’s Degree in Outdoor Recreation from Southeast Missouri State University and his Master’s Degree in Recreation Resource Administration with an emphasis in Recreation from the Southern Illinois University. Pat is so excited to be apart of the Schoolhouse of Wonder team and loves teaching and guiding kids in the outdoors. When Pat is not working he is spending time outside climbing, paddling, surfing, hiking, and biking with his wife and dog. Kaylyn is originally from North Carolina, and after working outdoor education jobs in both California and West Virginia over the past two years, she is super excited to move back to her roots and work at Schoolhouse of Wonder again. She first worked at Schoolhouse of Wonder in the summer of 2017 and fell in love with all that West Point on the Eno has to offer to the people who work there and visit. She loves that this job gives her the opportunity to get paid while doing the things that she enjoys doing anyway. Some of her favorite outdoor activities include hiking, backpacking, rock climbing, floating in a multitude of bodies of water in a multitude of vessels, and hanging out with her dog. She can’t wait to play in and around the Eno River with some of the best kids in the world again! Jenna Engelking is originally from Northern Illinois. 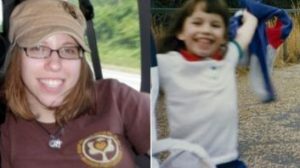 She grew up on a farm where she spent her childhood exploring the woods around her home, catching snakes in the creek, and raising various farm animals.She received her degree in Animal Ecology from Iowa State University where she enjoyed being active in Amphibians and Reptiles club and studying abroad in Ecuador. Since college, she has been teaching kids to love the outdoors all around the country at different outdoor schools and camps. 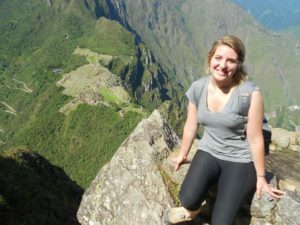 She especially loved spending a year in Cuenca, Ecuador teaching English. When she is not educating through nature, she enjoys reading, playing music, and exploring new hiking trails with her boyfriend and dog. She is very excited to continue to inspire kids through nature! Kailey spent the last 13 years of her life living in western Massachusetts, before that Michigan and Virginia. Spending the majority of her days as a child exploring the outdoors. As a teenager, she found her love of hiking and climbing mountains. While at U Mass Amherst, she studied Biology with a focus on plants, animals, and the environment. Outdoor facilitation has been a passion for the past two years. During her time as an instructor in the Berkshires of Massachusetts, she had the opportunity to work and travel in New Zealand for six months. Backing packing and exploring throughout the north and south islands. Ryan is a recent graduate of the University of North Carolina at Charlotte! He loves music, tree climbing, traveling the world, fishing, sports, and the outdoors! Ryan grew up in Raleigh where he went to Leesville Road Elementary, Middle, and High School. 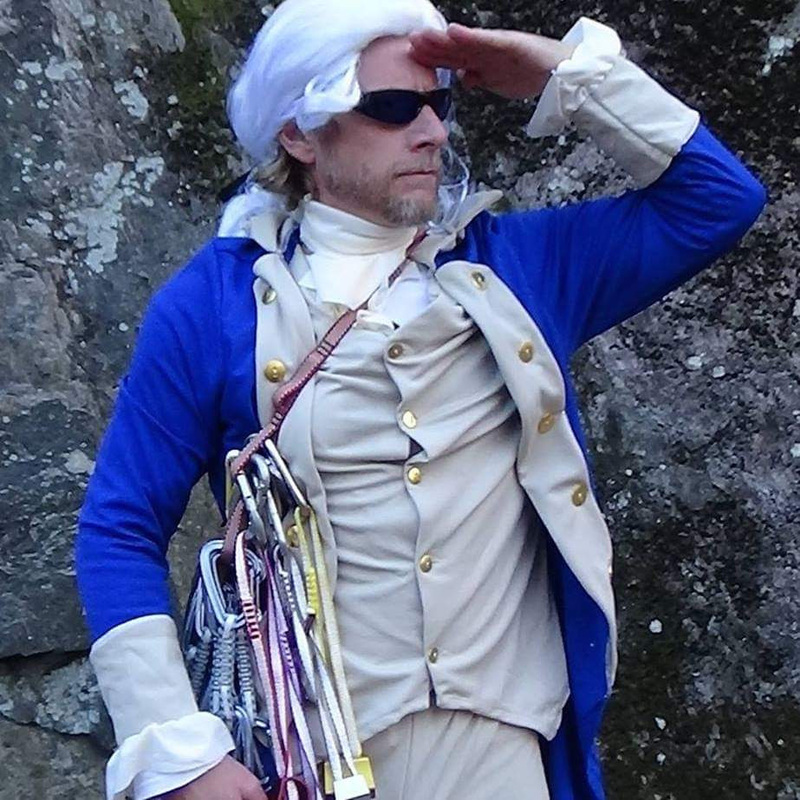 He is an Eagle Scout with over 15 years of camping experience and wilderness survival. 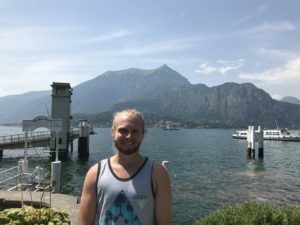 Ryan has backpacked the mountains of New Mexico, scuba dived the ocean floors of the Bahamas, and canoed through the Great Lakes in Minnesota and Canada. He’s excited to share his love for the outdoors with everyone and looks forward to having fun at Schoolhouse of Wonder! Ryan hopes to help everyone gain a greater appreciation for nature and its beauties. He’s also looking forward to playing some games and sports! Maddy Rossie is a Cary, North Carolina native who grew up here in the woods and creeks in Wake County. She graduated with a Theatre degree from Adelphi University in New York but was drawn back to here to her real home. Inspired by her years as a Girl Scout, she returned to the outdoors where she found Schoolhouse of Wonder. Schoolhouse has given her so much and she is excited to share what she’s learned and more with the next generation of leaders! James was born in Ft. Lauderdale, Florida, where he lived until age 6. 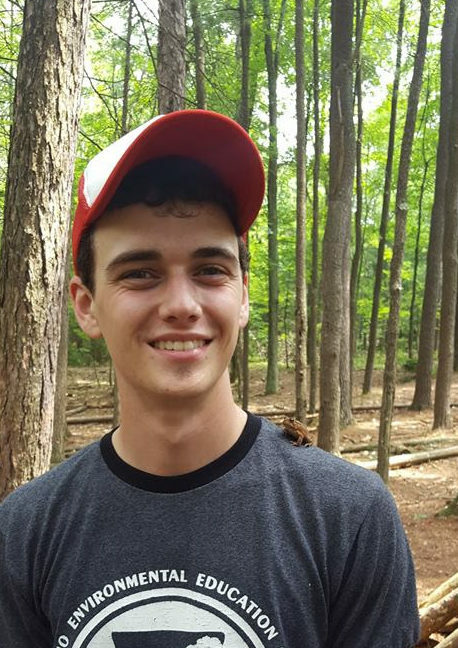 He moved to Northeastern PA where he fell in love with being outside and attended a camp at the Pocono Environmental Education Center (PEEC). Eventually, James went on to work as both a camp counselor and an environmental educator at PEEC, teaching a diverse range of ages (three-adult) and backgrounds (local and inner city). James’ camp counselors were huge role models for him and he wants to give others the same great experiences that he had as a kid. In James’ free time you can find him wandering through the forest with a guidebook identifying and studying local flora and fauna, working on his photography, backpacking, or fishing. 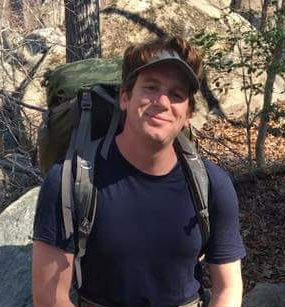 Matt grew up in New England where he spent most of his free time wandering through Connecticut’s state park systems searching for solace in the woods. An avid fan of all things wintry, he loves skiing, sledding, ice fishing, building epic snow sculptures, and will never pass on the opportunity for a good snowball fight. Having spent several years working as an environmental educator for state and national park systems, schools and nonprofit children’s museums, he founded his own company in Washington, D.C. that facilitated outdoor recreational outings for children with Autism. After returning to Connecticut he worked at a private boarding school to develop an outdoor educational program for high school students. 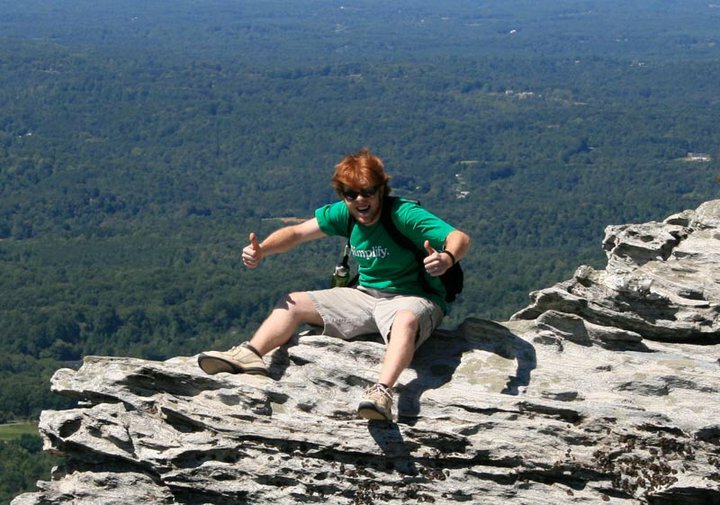 Matt’s favorite pastimes include kayaking, climbing, writing haikus, and playing the guitar. We also count on our wonderful board of directors to help round out the team. We’re grateful for the dedication our staff and board demonstrate every day. It shows up in big and small ways, and we couldn’t do it without them. Want to join this crazy cast? Check out our Employment page.